Hello! 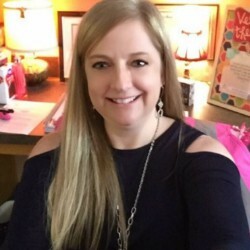 My name is Angela McCarty and I am the Principal at Longleaf Elementary! I am so excited about 2018-2019 school year and being a part of the Oak Grove Longleaf school family! I have been an educator for the last 25 years in Oak Grove. I have had the privilege of teaching Kindergarten, first grade, second grade, third grade, serving as Dean of Students and Assistant Principal at Oak Grove Primary, and currently as Principal of Longleaf Elementary. I am blessed to work with an awesome faculty who has spent a lot of time planning and preparing as we begin our sixth year at Longleaf Elementary. I encourage you to be involved in your child's education. We will be offering many opportunities for you to be involved in learning more about the standards being taught, ARTS integration through Mississippi Whole School Initiative, Project Fit, our PTO, and our Family Center. My husband and I have four wonderful children who have all attended Oak Grove schools. Kent is a graduate of USM and owner of the Java Moe's Coffee Shops. Kirk is a graduate of USM and is currently playing minor league baseball for the Cleveland Indians organization. 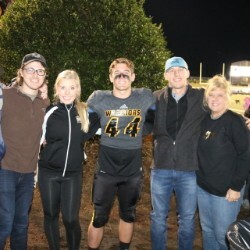 Graham is an 11th grader at Oak Grove High School who enjoys being a part of the OGHS football and baseball teams Our youngest, Callie Anne is excited to be a 10th grader at OGHS. She is a member of the OGHS Golden Spirits. It is hard to believe how quickly time passes. If you are a returning student, we are anxiously awaiting to see you again! If you are first time student at Longleaf, we can't wait to meet you!!! Please feel free to call the school to schedule a tour or to find out about opportunities to become involved in volunteering or serving as a mentor. I am looking forward to another year of learning and growing together! I am so excited to welcome you to Longleaf Elementary School! My name is Leslie Thompson and I am the Assistant Principal at the school. This is currently my 23rd year in education. I have taught Kindergarten, 1st, 2nd, 6th, 7th and 8th grade and also worked as the Dean of Students and Lead Teacher at Oak Grove Primary School. I previously worked for three years at Oak Grove Middle School as the 7th grade Assistant Principal. I am thrilled to work with the little kids, which is where my heart truly lies. When you come to my office you will notice a bunch of PINK - I am proud to say that I am an 12 year breast cancer survivor! GO PINK!! Please know that I want each student to have an exceptional educational experience at Longleaf. Our teachers and staff work diligently to ensure that all students are learning and ready for the next grade. If I can be of any assistance, please do not hesitate to contact me at the school. I am truly LOVING LONGLEAF and know you will too!!" 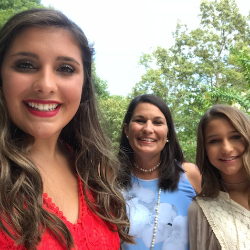 Hello, my name is Amy Bynum and I am so excited to be the Lead Teacher at Longleaf Elementary School. This is my 21st year teaching at Oak Grove. This is my first year as Lead Teacher at Longleaf. One aspect of my job is to ensure that students are provided with additional opportunities to learn through our REACH tutoring program. I also work as the chair of the TST (Teacher Support Team) which meets to assist teachers, parents and students develop strategies for increased achievement in the classroom. If I can assist you with any aspect of learning at our school, please do not hesitate to contact me. I know that it is going to be a great year!! !